Our cooling water deposit and corrosion control programs make use of the most up-to-date technologies to help our customers’ systems operate efficiently. Our expertise in biofilm control will help minimize problems related to microorganisms, including fouling, deposits, corrosion, and disease (i.e. Legionellosis). 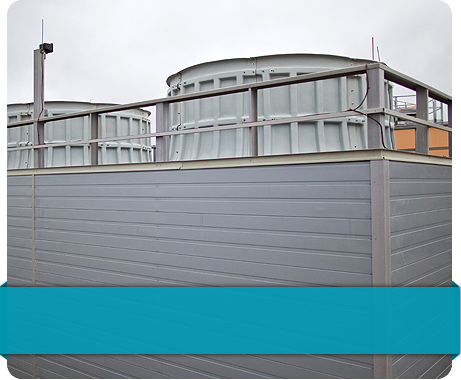 To help control deposit and corrosion problems, Water Consultants of America offers a complete line of specialty cooling water treatment products. Our inventory of raw materials includes a vast array of high performance threshold inhibitors, dispersants, and corrosion inhibitors which can be formulated to control almost any expected deposit and corrosion problem. Our ability to custom blend allows us to create a product for unique conditions when required. 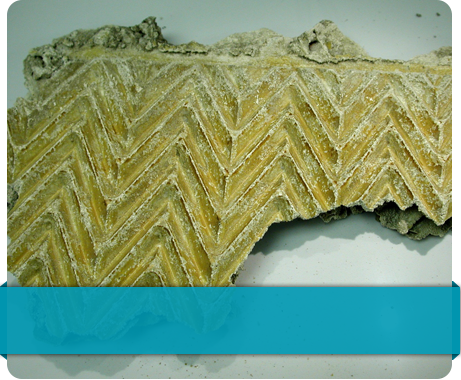 Deposits form in cooling water systems when there is an excess of soluble salts, such as calcium carbonate. Further, many municipalities are now adding phosphates to the raw water for corrosion control which can also concentrate in cooling water systems and lead to calcium phosphate deposition. These deposits will result in increased energy consumption, higher production costs, and localized corrosion. Corrosion is an electrochemical process by which metals return to their natural oxide state. Most metals used in cooling water systems will corrode to some extent, some more severely than others. The rate of general corrosion, or the rate at which metal is lost equally across the surface, is normally a function of the water chemistry. The rate of localized corrosion (pitting, under deposit, crevice type, etc.) is primarily a function of the localized environment created by deposits, microorganisms, or structure, in addition to the water chemistry. 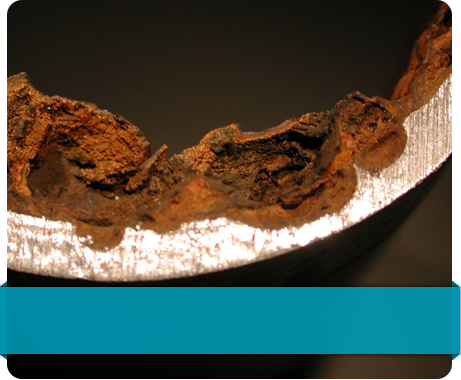 Localized corrosion is of most concern and is responsible for premature failure of equipment.